You don’t have to return to the New Car Dealer for General Maintenance or scheduled maintenance or repairs to keep your new vehicle warranty in effect. No matter what you drive, Griffin Auto Care, Inc., can help protect your new car or truck warranty. 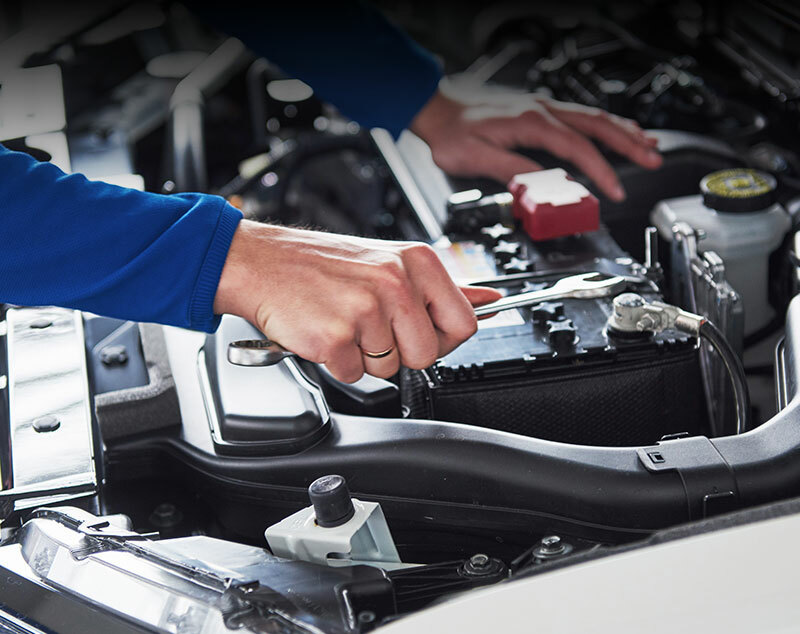 Our trained professionals can perform all of your vehicle’s maintenance and repair needs using only the best quality parts, advanced diagnostic equipment and latest technology, insuring your warranty remains in effect. Summer’s heat, dust, and stop-and-go traffic, will take their toll on your vehicle. Add the effects of last winter, and you could be poised for a breakdown. You can lessen the odds of mechanical failure through periodic maintenance. Your vehicle should last longer and command a higher resale price, too! The median age for cars in the West Palm Beach, Fl area was over nine years, and two-thirds had over 75,000 miles. At Griffin Auto Care, Inc. we hear reports that those numbers continue to rise. If you have a high-mileage vehicle in the West Palm area, bring it into Griffin Auto Care, Inc. for high-mileage maintenance. Talk with your service adviser at Griffin Auto Care, Inc. about the condition of your engine. See if he thinks you should adjust your auto service intervals for oil changes or other auto maintenance to account for the older engine working harder. So, have Griffin Auto Care, Inc. help you with an assessment of your older car or truck. If you haven’t gotten around to a fuel system cleaning, or replacing power steering or brake fluid, a differential service or transmission service – it’s time to start taking care of those things. It’ll help keep you on the road for many more happy miles.